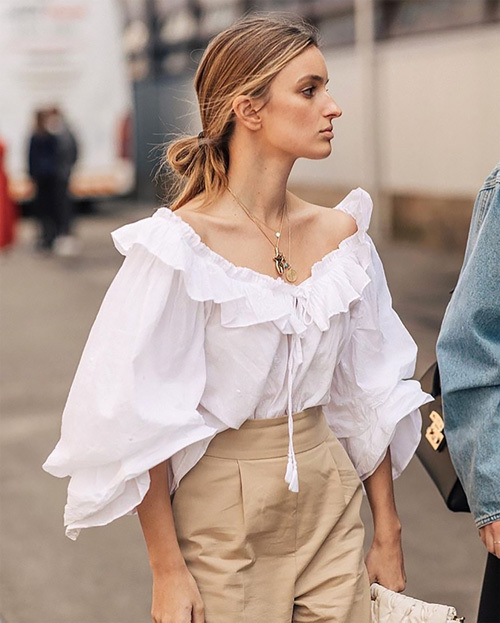 This spring's romantic blouses are so up my I-wear-my-heart-on-my-sleeve alley! Kitted out with ruffles, lace, and/or puffy sleeves, they're exactly what my flirty dreams are made of. My favorites of the season come from Ganni, below, Pixie Market, La Chemise, Petersyn, Isabel Marant Etoile, Paul & Joe, and J.O.A. Do you know who makes the bottom white shirt with the 3/4 puffed sleeves? 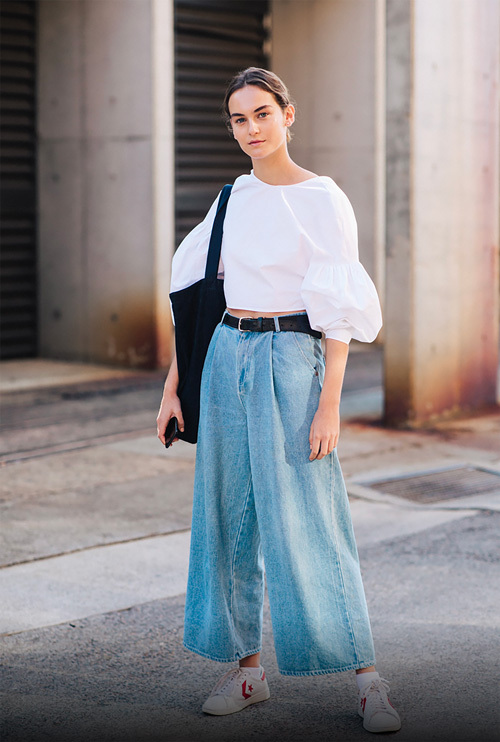 and do you know who makes the first flowy fabulous off the shoulder one? The first blouse may be Chloe.